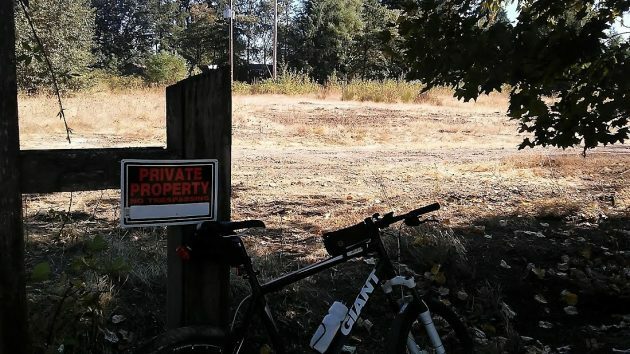 The new owners of the former Permawood or Cemwood property on the Willamette River have cleaned the place up, as I discovered on a ride along the riverside trail. 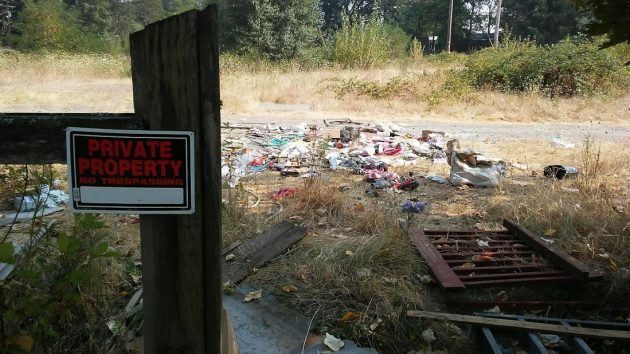 The vacant property, subject of an extensive environmental cleanup after the roofing plant there closed and was demolished some 20 years ago, had become a periodic dumping ground for household trash. The view of the messy site marred that segment of the unimproved trail between Albany’s Bowman and Simpson parks. In May this year a Salem investment group, Willamette River View Holdings LLC, bought the roughly 6 acres for $1,085,000, according to Linn County property records. They have plans for some kind of housing development, apartments or condos. But as of Thursday no actual proposal for land-use approval had been filed with the Albany Planning Division. The view from the Simpson-Bowman trail on Aug. 8. The power of the press can move mountains, even trash!